MOUNTAIN VIEW, Calif.—A Silicon Valley startup, nextLAP Inc. (www.nextlap.io), wants to optimize manufacturers’ production processes through the use of artificial intelligence (AI). Billing itself as “the shop-floor AI company,” nextLAP provides AI-based solutions for the digital management and automation of production and logistics processes. The company has developed a cloud-based platform, the AI Production-Process-Platform IP/1, which functions as a data hub that provides real-time analysis. 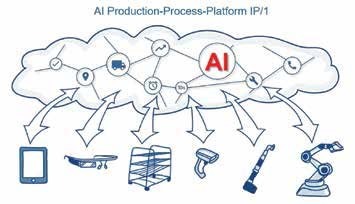 When fully integrated, the IP/1 platform can be used to implement applications for the AI-supported optimization of material flow in factories. These solutions are used worldwide, including by leading automotive manufacturers, nextLap said in a press release. Two of nextLAP’s products—SmartRack and pickEXPLORER—are integrated into the AI Production-Process-Platform IP/1. The platform collects process parameters from production and logistics—for example, when and where a part was installed, installation rates, or the current location of a truck that is delivering parts to the factory. With the help of real-time data and existing empirical values, which are pooled on the platform and put into context, nextLAP develops algorithms that can make autonomous decisions for improvement and feed them back into the process. In line with nextLAP’s predictive process control philosophy, the Production-Process-Platform is said to instantly recognize anomalies and autonomously identify potential problem-solving scenarios. It then takes countermeasures before the fault can actually occur, the company said. The platform uses relevant data sources to create a digital real-time overview of the production and logistics processes. In this way, it serves as the basis for the planning, development, management, and monitoring of processes. It integrates IIoT hardware, developed by nextLAP, and technologies—such as scanners or data glasses—from third parties. For optimizing material flows, SmartRack and pickEXPLORER build on the IP/1 AI platform. SmartRack is used for digitizing and automating all types of order-picking processes and includes IIoT buttons with LED display, controller, and a screen or tablet. 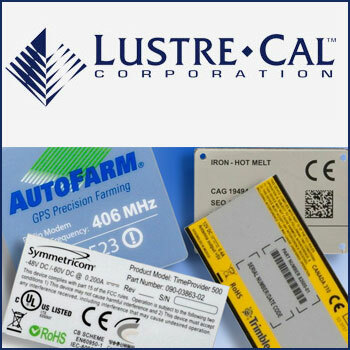 The storage racks and areas are equipped with these IIoT components and connected to the IP/1 platform. The data collected in SmartRack from order-picking processes (part number, shaft, number of picks) establishes the core for pickEXPLORER, a solution for layout-based planning and the analysis of intralogistics areas. According to nextLAP, pickEXPLORER optimizes routes, throughput times, and ergonomics, resulting in process cost savings of up to 50 per cent.